Employees and students at Northwestern Oklahoma State University will be able to enjoy a few days off and out of classes as the university will close for fall break on Thursday, Oct. 19, and Friday, Oct. 20. Northwestern Oklahoma State University’s Student Oklahoma Education Association from Alva is looking for shoe and other non-perishable donations by Oct. 12. Two Northwestern Oklahoma State University academic programs are coming together to serve as guides and readers for the first Story Walk event to be held on Friday, Oct. 6, at 5-6:30 p.m., in Alva’s downtown Arts and Shopping District. 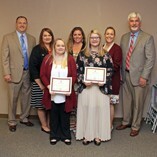 Five Northwestern Oklahoma State University seniors were awarded the Guthrie Scottish Rite Scholarship given by the Guthrie Scottish Rite Charitable and Educational Foundation. Northwestern Oklahoma State University’s English program will play host to a Writing Marathon workshop in downtown Alva on Friday, Oct. 6, from 10 a.m. to 2 p.m. at the Graceful Arts Center. 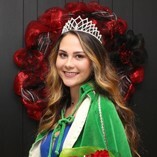 Lexi Vanderwork, Miss Woodward, won the title of Miss Cinderella for the 66th Miss Cinderella Pageant at Northwestern Oklahoma State University Friday, Sept. 29. 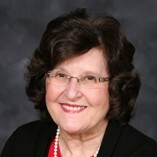 Dr. Peggy Wisdom will lead Northwestern Oklahoma State University’s annual homecoming parade as its marshal starting at 10 a.m. on Saturday, Sept. 30, on Alva’s downtown square. 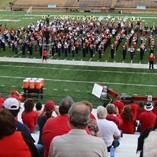 Nearly 1,000 students in bands from across Oklahoma and Kansas will join the Ranger Marching Band by participating in Northwestern Oklahoma State University’s homecoming festivities set for Saturday, Sept. 30. Northwestern Oklahoma State University’s Homecoming parade will be broadcast live on The Pulse 105.7 FM KRDR radio starting at 10 a.m. Saturday, Sept. 30.